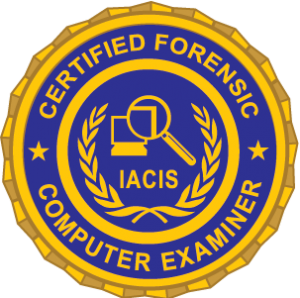 IACIS started down the path of an incident response class about 7-8 years ago. We developed the Network Forensic Analysis (NFA) class and taught it for several years. It was a one week class that focused on the network level investigation, primarily covering a variety of logs and how to analyze them. We quickly concluded that we were still missing out on a lot of endpoint information, so we expanded it to two weeks. This became the Cyber Incident Forensic Response (CIFR) class, which teaches investigation concepts for both the network and endpoint levels. While the class doesn’t make a student an expert in all these areas, the level of training is deep and broad enough so the student understands the concepts and processes and can apply them to an investigation, gaining competency the more the skills are used. One of the distinguishing aspects of this class is that we do a lot of realistic hands-on exercises and labs. The class network includes a Xen server hosting a number of Windows and Linux VMs. Throughout the two weeks, each student is assigned a VM as their “victim” or target of their analysis labs. For example, during the FTK Imager CLI imaging lab, each student practices by connecting to their assigned VM, doing the processes with FTK to acquire an image, then pipe the image to netcat to send it across the network to their forensic analysis system to receive the image. On the last Thursday of class, we end the day by launching a series of attacks against all the VMs, then have the students perform their imaging/analysis across the network on Friday. They can either image to their forensic system and do analysis or they can do the analysis remotely using FEX or GRR. They can also capture RAM from their compromised system and do RAM and malware analysis as part of their investigation. PREREQUISITE: A basic understanding of Windows, Mac and Linux Operating Systems would be helpful, but is not required.